Everyone loves taking a vacation. No matter if it’s a flight to Orlando or Hawaii, there is always something to look forward to…but getting there can be a bit boring. In the old days, you’d load up a few magazines and maybe a Walkman to pass the time. If you were really lucky, you had a portable DVD player and then hoped the battery lasted 2+ hours. As with most things, it’s much simpler today. 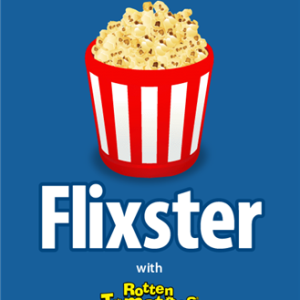 My personal favorite is Flixster. It’s an app you download for your mobile device (or your TV, computer, or your Xbox) where you can collect and watch movies. Since I buy a lot of movies on Blu-ray (I own almost 400 movies), a lot them come with a Ultra Violet (UV) version (a free, cloud-based digital copy). When you open the jewel case, there is an insert that will give you a code, you log into a website and you can download that UV copy into your Flixster account. The nice thing about this, the movie stores in the cloud so you can stream it at your convenience–but if you’re up in the air (where you typically don’t have Wi-Fi) you can download the film to your device, watch it, and then movie it back to the cloud. Pretty slick. I mentioned UV copies above, but DVDs also sometimes come with digital copies and those work well too. You’ll open your new Blu-ray or DVD and you’ll get an extra disc that contains your personal version of the movie. Typically you’ll load that into iTunes and then transfer it onto your device. Works great, except its stored on your device, taking up probably a couple GB’s worth of hard drive storage. Not bad if you have the 128GB iPad, not so great if you have the 16GB. There is a way you can leave your movies in the iTunes cloud, but that’s another discussion. Speaking of iTunes, you can also rent movies directly from there. Usually these run between $3 and $12 dollars. This would again require a Wi-Fi connection to stream, but once you rent, they’re stored on your device for 24 or 48 hours after you watch them. If you don’t start watching, you have 30 days before it deletes without viewing. Amazon offers a similar experience as iTunes – that seems to be the preferred method for Android users. Of course, you could also watch your favorite TV series or play catchup on one if you have a Netflix account. There is no substitute for having a nice, quick flight. I recently went out to Colorado and watched Silver Linings Playbook on the way out and Iron Man 3 on the way back. Those 2.5 hour flights seemed to go by in 20 minutes. And by the way, I’d recommend both movies for your next trip, or even your next weekend lounging at home. Whatever device you have, make sure you’re locked and loaded for your next vacay.